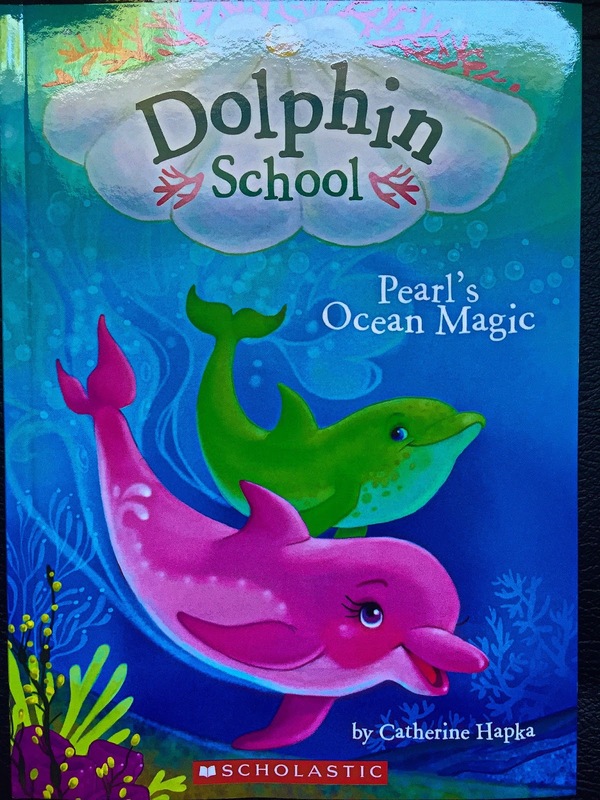 Pearl is a magical dolphin of the Salty Sea, and today is her first day of school. Her classmates Echo and Splash make great new friends! Together they start learning dolphin skills like magic, music, and jumping. But another student, Flip, just won't stop bragging. And when he accepts a dare from an older student, he ends up in terrible danger from a shark! Can Pearl and her friends save him? It's an exciting first day at Dolphin School! Everyone has their own magical powers. We all do sometimes it is making people laugh without even trying, or maybe they can make friends everywhere they go but for Peal she can sing. Your child will love the animals below the water. They are just like them. They go to school and have friends and sometimes even need to stand up for their friends. Lexile Score on this is 550. Perfect for ages 7-10.